Agustinus Rikarno on his speech appreciated Komunitas Sastra Jendela who dares to work in the literary field in Nusa Tenggara Timur Province. He hoped that by launching this journal, literacy culture can be grown up quickly in Flobamora. 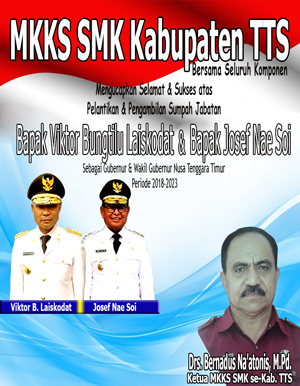 In the same time, Roman Nama, the head of Komunitas Sastra Jendela explained that this community is a new community. They named it Jendela (window) because Jendela is a viewpoint. “From the window we could see the world, and it is not possible for the world to see us,” explained Roman. 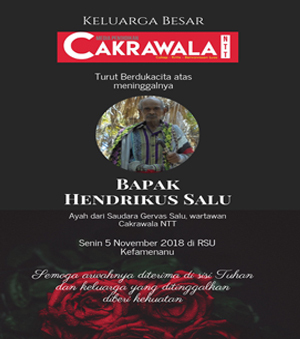 As same as Roman, Kopong Bunga Lamawuran also explained that they worked together in publishing Jendela Journal, so everyone can send their writing to be published in this Journal. A.G. Hadzarmawit Netti, literary critics, said that literature is a life and writer is a person who is able to see what is behind the life. “If a musician expresses his feelings in form of a guitar or piano keys clinking, then the poet expresses it in form of writing,” said Netti. In that moment, Netti also read poetry and motivated all people to be a good writer who able to combine left brain and also right brain.